You will become the eyes and ears of the kingdom, fighting the battles before the battles reach the people. 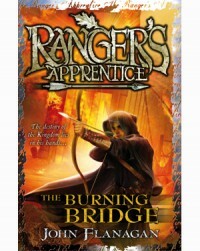 You are the Ranger’s Apprentice. 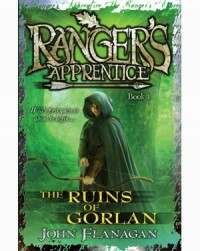 If you’re a fan of adventure and fantasy, then check out Ranger’s Apprentice, the epic series of books written by John Flanagan, available now. 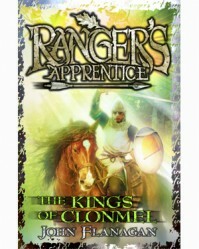 In the books you follow the young orphan Will as he learns the way of the Rangers, a mysterious force sworn to protect the Kingdom – and with the rise of evil forces they are needed more than ever! Here we give you a sneak look at each of the books in the series – enjoy! Will is small for his age, but agile and energetic. He has dreamed of becoming a great knight so he’s devastated when he is rejected. 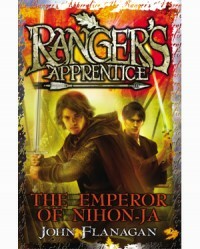 Instead he’s apprenticed to Halt, the mysterious Ranger whose ability to move unseen is thought to be due to black magic. 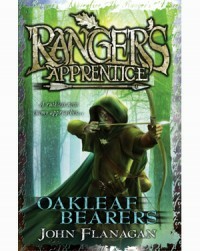 Reluctantly, Will learns to use a Ranger’s secret weapons: a bow and arrow, a mottled cloak and a stubborn little pony. And when Will and Halt set out on a desperate mission to prevent the assassination of the King, Will finds that a Ranger’s weapons are not so useless after all . . .
Will and Horace accompany the Ranger Gilan on a mission to Celtica. But Celtica’s villages and mines are silent.Only an exhausted and starving girl called Evanlyn can tell them why: Morgarath has sent his foul creatures to enslave the Celts. While Gilan rides swiftly back to Araluen to report this news to the King, Will and Horace discover the true purpose behind Morgarath’s actions. The Kingdom is sure to be defeated in a surprise three-sided attack – unless they can find a way to prevent it. Will and Evanlyn are bound for Skandia as the captives of the fearsome Skandian wolfship captain, Erak. Halt has sworn to rescue Will, and he will do anything to keep his promise – even defy his King.Halt and Horace set out through Gallica towards Skandia, facing endless obstacles along the way. But will they be in time to rescue Will from a life of slavery? 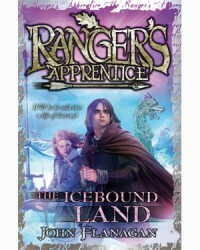 Just as Will and Evanlyn can finally escape Skandia, Evanlyn is carried off by mysterious horsemen.Will pursues, but one boy against six fierce Temujai warriors is impossible odds – even for a Ranger’s apprentice. Halt and Horace arrive just in time. But there is no time to celebrate as Halt realises these Temujai are only the scouts for a massive invasion force. The four Araluens must work together with the Skandians to defeat the invaders – if the Oberjarl will accept their help. 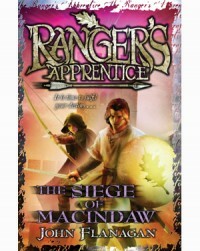 Five years have passed since the Skandians and the Araluans made their treaty, and Will has finally become a Ranger. 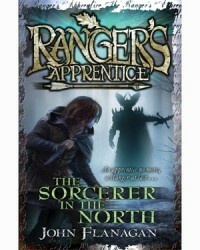 Then he and his old friend Alyss are thrown into a terrifying new adventure, investigating the truth behind rumours of sorcery in a remote northern fief. As he stands in Grimsdell Forest, with the horrific, ghostly Night Warrior looming over him, Will must ask himself one question: is there a rational explanation… or does sorcery really exist? In this desolate northern fief, where can Will find the fighting men he needs to overcome the traitorous Sir Keren and his band of criminals? Across the border, the fierce Scotti tribesmen are waiting for the signal to mount a full-scale attack. Time is running out. Will’s courage and ingenuity – and the arrival of an old friend – may be the only things that stand in their way. When the Skandian Oberjarl is taken hostage during a raid on the desert land of Arrida, his second-in-command, Svengal, asks the Araluans for help. Halt and Will must go with him to deliver the ransom and secure Erak’s freedom, but a royal presence is needed. The Princess Cassandra – or Evanlyn, as Will knows her – persuades her father to let her go with them. But will violent sandstorms, warring tribes and danger at every turn keep them from reaching Erak in time? 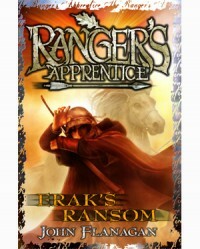 Will is at the annual Ranger Gathering but Halt is investigating mysterious happenings in the west. When he does finally return, it’s with bad news. Hibernia is in turmoil. 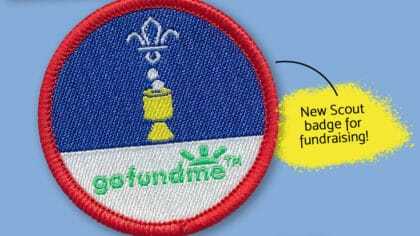 A false religious cult calling themselves the Outsiders are sowing confusion and sedition, and five of the six Hibernian kingdoms have been undermined. Now the sixth, Clonmel, is in danger. 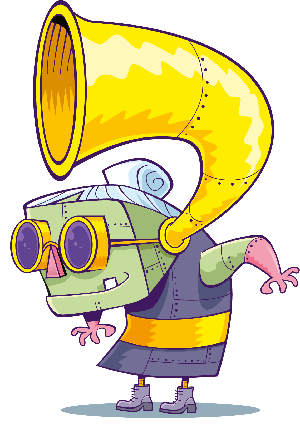 Halt, Will and Horace set out to restore order. Can the secrets of Halt’s past help them in their mission? Halt, Horace and Will are on the trail of Tennyson and his followers.Will has defeated one of Tennyson’s Genovesan assassins in Clonmel – but there are two left alive. 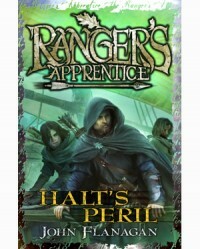 Are the extraordinary archery skills of Will and Halt enough to save them during a duel with the Genovesans . . . or is Will’s mentor facing his last battle? Horace has become embroiled in Nihon-Jan politics. The arrogant Senshi sect has rebelled against the rightful Emperor and Horace has chosen to stay and lend support to the deposed ruler. Now he and Will must find men willing to face the highly trained Senshi warriors, while Alyss and Evanlyn must overcome their longstanding rivalry to seek aid from a mysterious group of mountain dwellers.